One of the first visible signs of aging is crow’s feet. These are the pesky little wrinkles that appear on the outside corners of the eyes when smiling. In a 2006 study by Aveeno, they asked women where their first sign of aging appeared. A whopping 84% answered “the area around my eyes.” Even though these are normal, and most people get them at some point in their life, much of the injectables services I perform are related to getting rid of them. To better understand how to treat them, it’s important to first know how they develop. There are two types of wrinkles: static and dynamic. Static wrinkles are those that happen due to loss of facial fat, collagen, elastin, and hyaluronic acid. The body loses these essential components with age, and that’s why wrinkles form. Dynamic wrinkles are the result of repetitive facial movements. For example, when people smile, squint, or furrow their brows, those facial movements cause wrinkles. While these wrinkles go away when you’re young, they don’t bounce back as you get older. To resolve this, a muscle relaxer can be injected to stop facial muscles from contracting when you smile or frown. The reason people often see crow’s feet as their first sign of aging is because the skin is very thin in this area. Because the skin is thinner here, collagen and elasticity loss is more apparent. This one-two punch leads to the formation of small wrinkles. Once they appear, are they there to stay? Fillers can help bring back any volume loss that you might notice. This will fill in hollow areas where loose skin may be causing wrinkles. The filler can also be placed in the deep creases of the wrinkles to make them less noticeable. Depending on the type of filler you choose, you will need to have the treatment repeated every few months to one year. As time moves on, additional wrinkles may appear, and those can also be treated with fillers. Moisturize your skin. This will help keep it looking fresh and hydrated. Avoid unprotected exposure to the sun. This can lead to more wrinkles because UV rays damage the skin and cause premature aging. Use an eye cream with hyaluronic acid. This can help replace some of the moisture that is lost through the natural aging process. By taking care of your skin and getting fillers for the fine lines and wrinkles that develop over time, you can keep your youthful look for many years to come. James Christian Cosmetics specializes in aesthetic services and injectables that leave you looking rejuvenated. Contact our 24/7 Cosmetic Concierge line by phone or text at 917-860-3113. 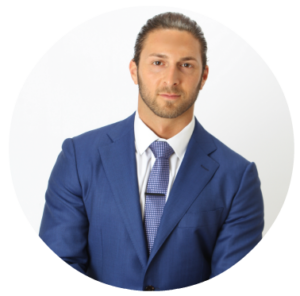 James Christian Sardelli, RPA-C is a trusted expert aesthetic injector in Nassau and Suffolk counties. He serves clients in Manhattan and Long Island including Commack, Islip, Westhampton Beach, Rockville Centre, Farmingdale, and Babylon Village, NY.